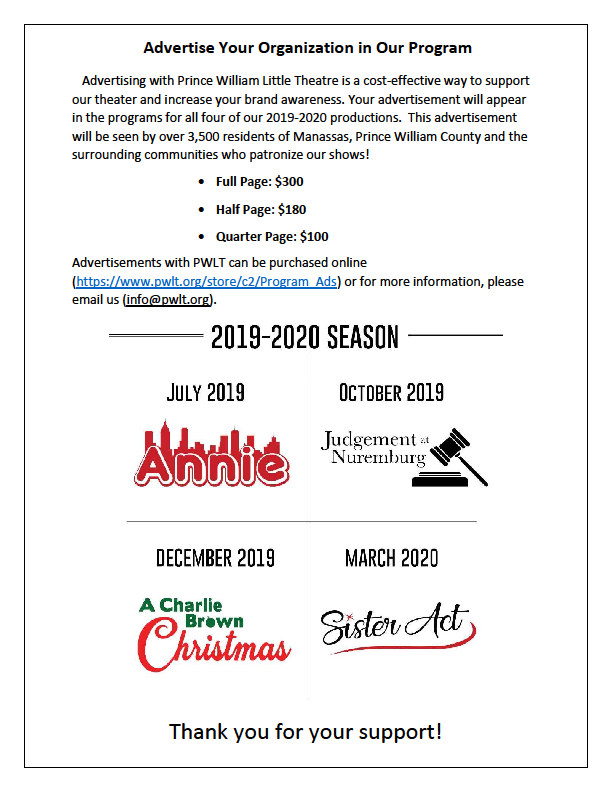 Partner up with Prince William Little Theatre! 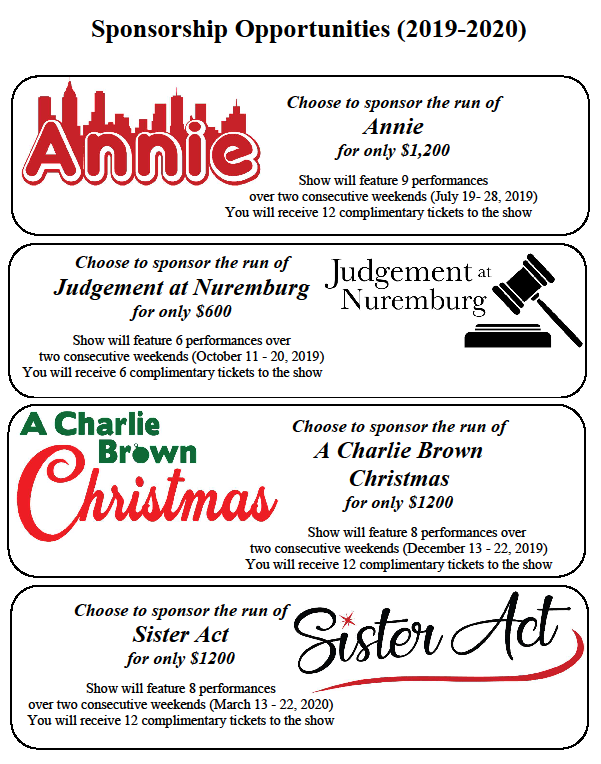 Buy an ad in one of our programs or sponsor a production and get exposure while supporting your local community theater! PWLT now offers a wider variety of options for your business. PWLT offers several ways to advertise in programs. Advertisements range from 1/4 page to a full page in size and can be purchased by production or by season.